※The restaurant has a 5% seating charge, which is included in the price shown in parentheses. ※Can be ordered for lunch or dinner. 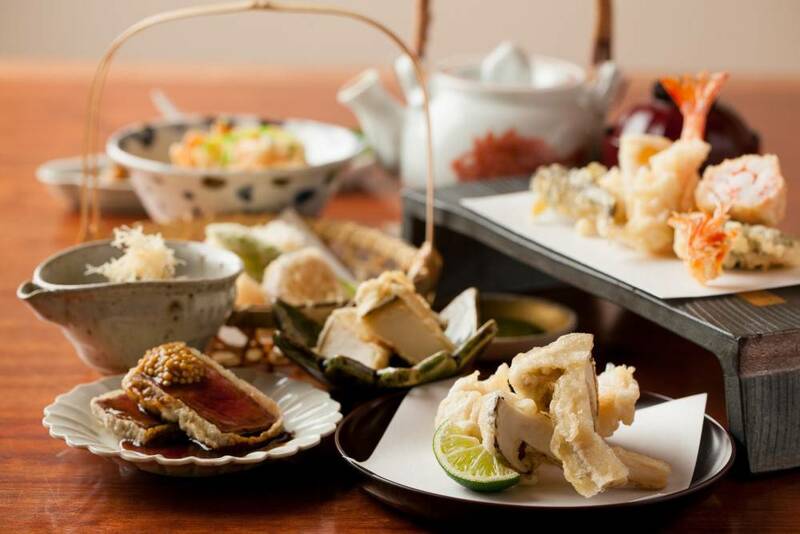 Carefully chosen seasonal ingredients are used to produce a combination of Japanese kaiseki and tempura, one of Shunsaiten Tsuchiya's recommended courses. The Chef's Special Course where the chef uses carefully chosen seasonal ingredients to produce a combination of Japanese kaiseki and tempura. The finest omakase course at Shunsaiten Tsuchiya. The "Tempura Only Course" contains only tempura. Enjoy carefully chosen seasonal ingredients served as tempura. ※Please note that depending on the price, the ingredients used and the number of dishes may vary. ※This course is not available for dinner. In addition to the prices listed, a 10% service charge is required at the time of online payment. An 800 yen per glass fee is required (￥800 per person). We are sorry but cake is not allowed to be brought into the restaurant. Children 6 or older that can eat an adult's course are welcome. Guests dining alone are welcome.